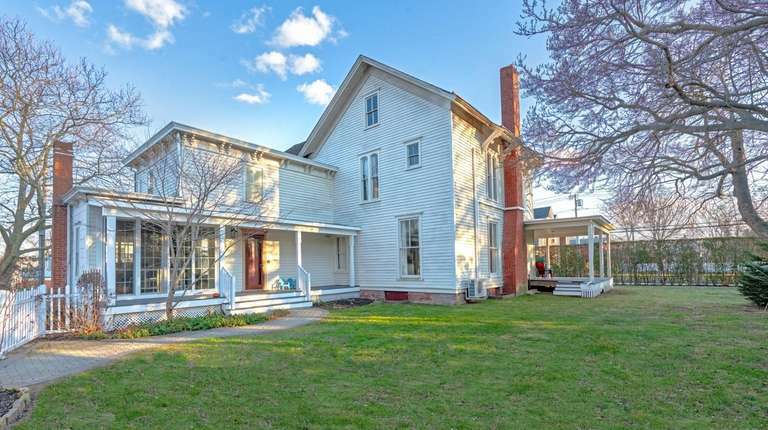 A restored Victorian in Greenport built in 1880 is on the market for $1.2 million. The five-bedroom, three-bathroom home was built by Benjamin Reeve, says Alexander Aquino of Douglas Elliman Real Estate, who is co-listing the property with Jill Dunbar. Reeve was a prominent attorney who went on to serve as a Suffolk County judge in the late 1800s until his death in 1902, according to his obituary in The Brooklyn Daily Eagle. 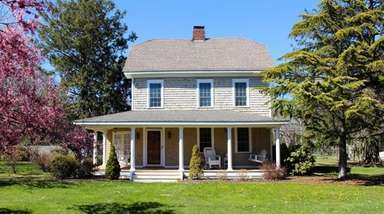 The home features an 800-square-foot wraparound porch and has two living rooms with original fireplaces and two renovated kitchens. Sliding glass doors open up to a new deck.